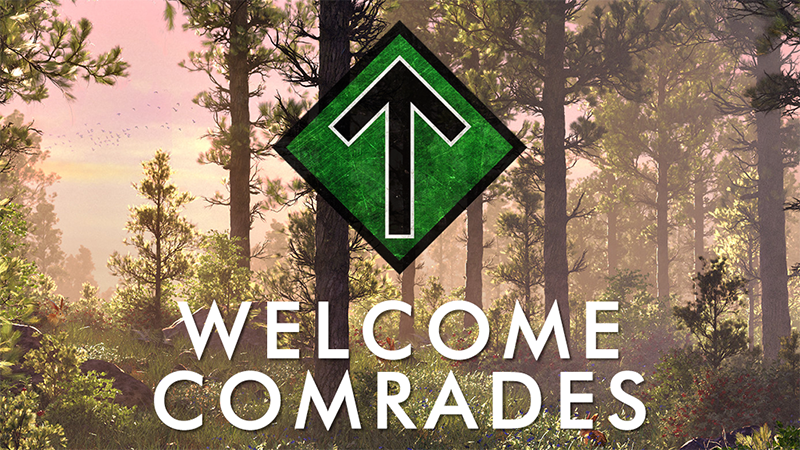 Home Featured Welcome to the Nordic Resistance Movement! 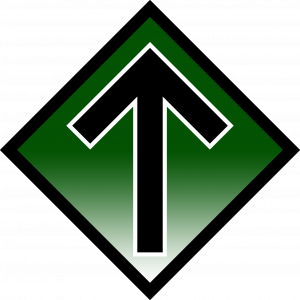 Welcome to the Nordic Resistance Movement! WELCOME. 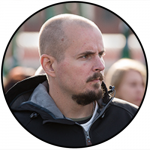 Simon Lindberg, Leader of the Nordic Resistance Movement, bids you welcome to our new website. What you now see before you is the official English-language website of the Nordic Resistance Movement. The website is the result of many hours of work spent by devoted activists and sympathizers of what is probably the largest and most successful explicitly National Socialist organization in the world. The principal aim of the site is to highlight some of the activism that we conduct daily in the five Nordic nations where we are active, but it will also feature news about the organization as well as official statements, ideological articles and analyses of what others are saying about us. As a matter of fact, the site already has quite a lot of content at the time of launch, and it will be updated regularly going forward. The site was created for two main reasons. One is that there has been a great demand from the international community, and the other is the simple fact that we are running an organization that we are really proud of – one that we want to be visible, with the hope that others will feel urged to join the struggle. The world we live in today has been turned completely upside down by a small group of extremely wealthy and influential Zionists. White people are heading towards biological extinction, while the race traitors in our parliaments are trying to outdo one another in pleasing their masters. The Left exuberantly applaud the ever-increasing madness, the ethnically connoted criminality, and the pushing of the boundaries for sexual deviance and decadence. The Right, on the other hand, are only too happy to see millions upon millions of racial aliens flooding our borders, knowing that this invasion will boost their investments given that all the newcomers will need housing, clothing, food as well as the latest gadgets – all paid for by the white working class. In order to turn things around, we don’t need more civic nationalism or counter-jihadism. Nor do we need any more suit-wearing politicians with serpent’s tongues. Moderate anti-immigration sentiments on the Right or Left will not be enough. Trolling, memes and podcasts are all well and good, but we don’t need more independent projects in these areas – and we definitely don’t need projects where the creator’s main concern is to boost their own ego. No – we need organizing, we need to take the struggle to our streets and town squares. This world needs revolutionaries and National Socialists. Proud men and women of the people, who live among the people and who will sacrifice whatever it takes to secure the survival and freedom of our race! The problems we face are not unique to the Nordic countries. We are not alone. The enemies of our people are working globally, and we too must therefore work together globally to resist them. We are currently not interested in establishing branches of the Nordic Resistance Movement outside of the Nordic countries, but having said that, no one would be happier than me if our struggle can inspire free-thinking and courageous men and women across the world to start their own organizations modeled on the Nordic Resistance Movement. If you are already part of such an organization, or if you think you have what it takes to start one, you are more than welcome to contact us to discuss how we can help each other progress. Otherwise, you can of course support us directly in our struggle. You can share content from this site with your connections as well as on social media. You can inform us about things happening in your country that we can report to a Nordic audience through our own media. Or better yet, we encourage you to send in your texts, be it ideological articles or news items from your country, that we might publish on the site. The best of them might even be translated for publishing on our other sites. And you can of course support us financially. Unfortunately, the banking cartels have closed down all the bank accounts previously owned by the Nordic Resistance Movement. We are also blocked from using services like Paypal and Patreon. Not because we are terrorists or criminals, but for the same reason that we are censored by e.g. YouTube, Facebook and Twitter – namely that we constitute a real and growing opposition to the power monopoly of the self-appointed elite. However, we are actively working to try and find new solutions. For now, you can donate using cryptocurrencies or support us by purchasing from our webshop Greenpilled.com, where all proceeds are reinvested into our struggle. Thank you in advance for your support! The launch of this site is the first of several things that we are hoping to announce to our international audience during this coming year. Keep yourself updated through this website and by listening to our English-language podcast, Nordic Frontier, and I promise you won’t be disappointed. We need you in our struggle and I hope we can help you take the next step! Who are the Nordic Resistance Movement?